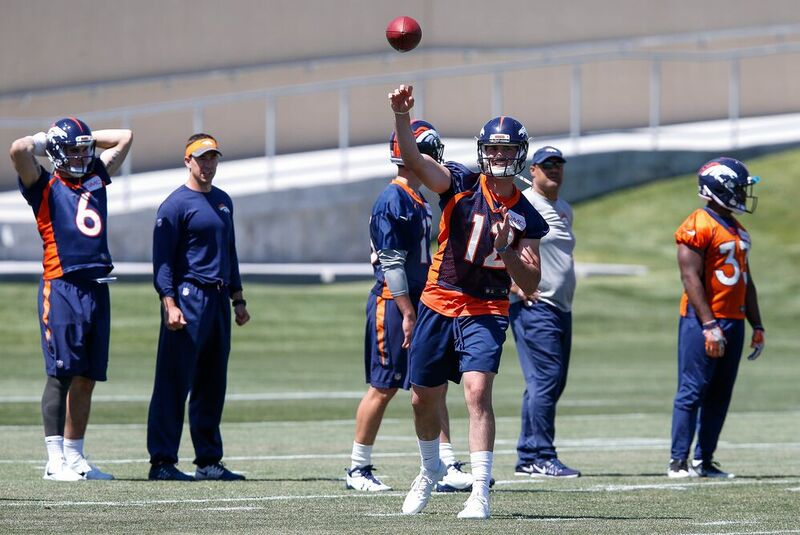 Could this be the year Paxton Lynch takes over at quarterback for the Denver Broncos? In the 2016 NFL Draft, the Denver Broncos traded up in the first round to take quarterback Paxton Lynch. With Peyton Manning retiring, and Brock Osweiler leaving via free agency, they needed a quarterback of the future. Trevor Siemian won the starting role, but Lynch did get some opportunities to play. Lynch and Siemian should battle it out for the position again later on this summer when training camp begins but it looks like something has clicked with Lynch, via Mike Klis. The Broncos have a new head coach this year in Vance Joseph, which gives Lynch a chance for a clean slate. Lynch played in three games, starting two of them and threw two touchdown passes while completing 59 percent of his passes. In 14 games last season, Siemian threw for 3,401 yards and 18 touchdowns while completing 59.5 percent of his passes. Lynch looks like what you draw up as a prototypical quarterback. Tall, with a good arm and mobile. Siemian looked more like a game manager, west coast kind of quarterback. Siemian was 21st in QBR and 24th in yards in 2016. Lynch and Siemian should be a fun battle during training camp, and certainly, one to watch for around the league for a team that has Super Bowl aspirations. What held them back from making the playoffs last season was the inconsistent play at the quarterback position. I believe it will be an open competition, however, if Lynch has indeed taken that next step after being a first round pick last season, I fully believe he will start week one. If Lynch can step up and grab the reigns of that position, it could help the Broncos in what should be a very competitive AFC West all season long.